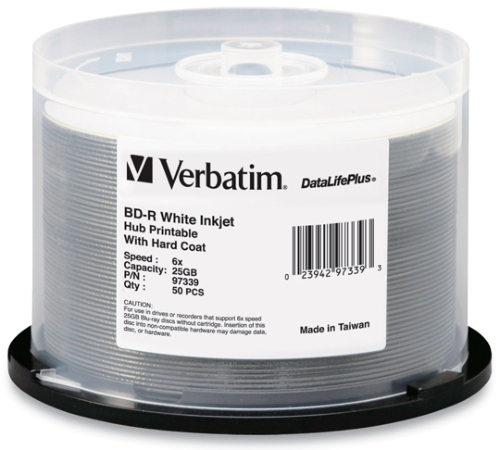 Verbatim 25GB 6X White Inkjet Hub Printable Blu-ray BD-R’s with Hard Coat Record Surface (scratch protection) DataLifePlus As low as 95¢ each! 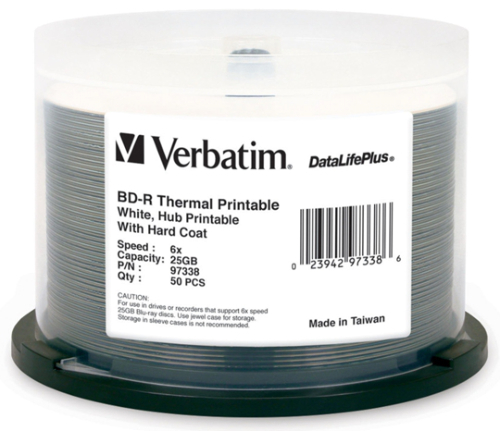 Verbatim 25GB 6X White Thermal Hub Printable Blu-ray BD-R’s with Hard Coat Record Surface (scratch protection) DataLifePlus As low as $1.05 each! Moser Baer 25GB 4X White Inkjet Hub Printable Blu-ray BD-R's with Hard Coat Record Surface (scratch protection) As low as 39¢ each! 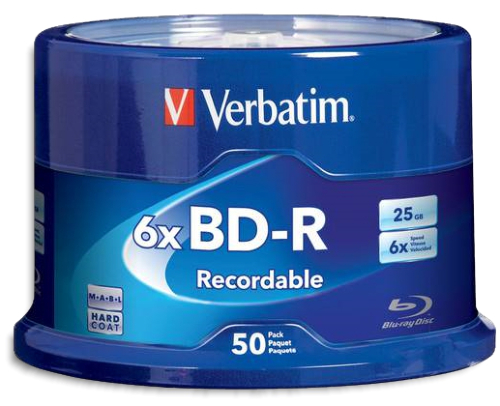 Verbatim 25GB 6X Logo-top Blu-ray BD-R’s with Hard Coat Record Surface (scratch protection) As low as 87¢ each! 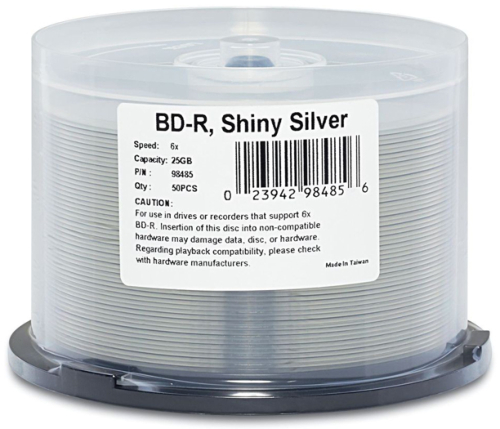 Verbatim 25GB 6X Shiny-Silver Blu-ray BD-R's with Hard Coat Record Surface (scratch protection) As low as 89¢ each! 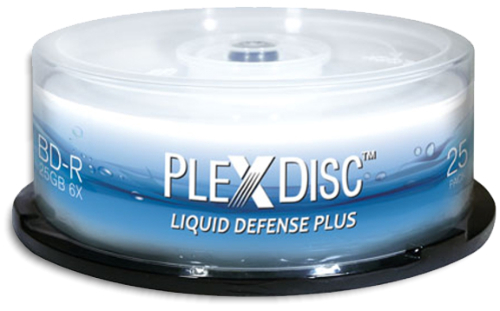 PlexDisc 25GB 6X Liquid Defense Plus Glossy White Inkjet Hub Printable Blu-ray BD-R's with Hard Coat Record Surface (scratch protection) Water-resistant, glossy-finish printing surface As low as 99¢ each!